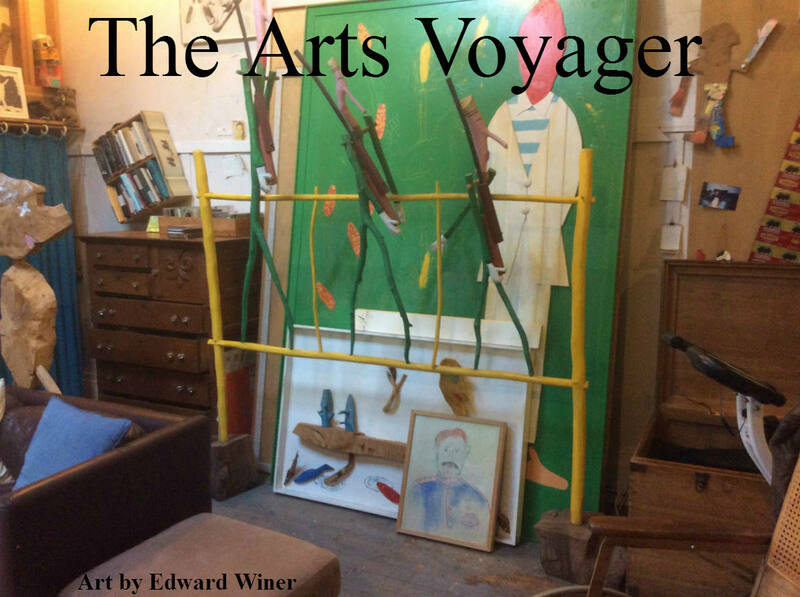 Starting today, all new Arts Voyager stories and art will be distributed exclusively by e-mail, to subscribers. Subscriptions are just $49/year ($25/year, students and unemployed artists), and include archive access to both the Arts Voyager and the 2,000-article Archives of The Dance Insider, our sister publication. To subscribe, designate your PayPal payment in that amount to paulbenitzak@gmail.com . Or write us to at that address to find out about other payment methods and about paying in Euros or British pounds. If you are already an Arts Voyager or Dance Insider subscriber, you are already signed up. Special Offer: Subscribe before December 15 and receive a second subscription for free — the perfect holiday gift for the Arts Voyager on your list. La 85eme Victime ou, comment faire avec cet mal? SAINT-PIC-LE-LOUPE (Dordogne), France — What I remember with the most delectation from my first visit to Paris took place in the dark, at the Grand Action cinema in the Latin Quarter, which was showing Fritz Lang’s “While the City Sleeps,” retitled in French “The Fifth Victim.” (If French is the more poetic of the two languages, whoever is in charge of translating movie titles is wanting in this department, although it’s no better going the other direction; American distributors reduced “The Fabulous Destiny of Amelie Poulain” to “Amelie,” denuding the title of this cinematic proverb of its moral.) Returning to Paris the following summer, I luxuriated in walking from my flat at 33 rue Lamartine (where Baudelaire once lived) in the 9th arrondissement, along the rue La Fayette (“I am here!”), then the Boulevard Jean Jaures to the parc La Villette for the annual outdoor cinema festival. Never mind that Emmanuel Beart’s voice was sometimes a minute ahead of her lips, that it was vain to try to “Shshsh!” people come for the picnic as well as the film, the annoying wafts of cigarette smoke or that, because the film never started before a sundown sometimes falling as late as 10:30, staying until the end meant making the last Metro problematic; I was happy to stroll home, past the corner “Turkish” joints with schwarma grilling on spits, the glass facade of the Gare du Nord, a trompe d’oeil graffiti taking up an entire wall, and over the train tracks…. The Cinema in Pleine Air, as it’s called, presenting each year a different theme, seemed the quintessential Parisian summer event, combining pot-luck ensemble dining and cinema, all this under an azure summer sky. And for free — the perfect manifestation of the Socialist thinking — towards the well-being of the collective — so often vilified in the United States, at least pre-Bernie Sanders. Even delicately stepping around bottles of Bordeaux, quiches in aluminum pans, baguettes, cheese, and tomato salads arranged on blankets so close they seemed to compose a giant patchwork quilt was just another opportunity to demonstrate one’s proficiency at the art of politesse. This afternoon, as the Senate prepared to approve (after an assembly vote okayed it by a vote of 489 to 26 ) a 6-month extension of the State of Emergency in place since November 13 (President Francois Hollande having re-considered his inclination to end it after the Nice massacre), the Paris prefecture announced the cancellation of the rest of this summer’s Cinema en Plein Air, which opened July 13 and was supposed to continue through late August. Before a change in travel plans, I was all set last week to see the triple-header (over three nights) of “Rushmore,” “Miami Vice,” and “Jour de Fete,” this year’s theme being something like All Dressed Up with Everywhere to go. “Rushmore” is just about the most romantic movie this side of “Splash,” with Wes Anderson’s boarding school hero mounting an elaborate battle on a high school stage, complete with real miniature helicopters and genuine fire-fights, to win the heart of his would-be sweetheart. “Miami Vice,” Michael Mann’s film extension of his glam ’80s television series, proffers the simple solutions to crime-solving that seem to elude us when it comes to these murderous gangs which masquerade as religious crusades. “Jour de Fete” is Jacques Tati’s ode to a rural France (in which I spend my time when I’m not in Paris) which, I hope, can still be saved, the last of my illusions in this our year when living became dangerous being that maybe we’re too small for them to notice us. In rural France, we tend to ‘faire avec notre mal.’ My morning today started with the sound of withered terra cotta roof tiles being tossed on the pavement by the roofer who began working on the house two doors down Monday. I thought he was ribbing me when he said, “We’ll be starting at 6 a.m. every day,” but soon figured out that the hour makes sense given that we’re having Texas-like 100+ degree afternoons here in the Southwest of France, and not even my cat would want to sun on that hot terra cotta roof. So instead of agonizing, I (figuratively) hung a “Gone Fishin'” sign on my door and have been having my thermos coffee on a narrow Eiffel-era rusty iron bridge above the low-lying Dordogne every morning, exchanging the clacking tiles for the tweets of birds and occasional traffic, after checking and writing e-mail outside the tourism office to the cascades of a nearby fountain and the barking of farmers setting up their duck pate, salami, vegetable, and too many tchotchke stands. This particular morning also started with the welcome sound of Fabrice chatting from his attic window with the roofer (our house, in between the two, looks out over another neighbor’s garden where the pink roses are in their second bloom), before he returns to Bordeaux for more leukemia treatments; they are looking for a bone marrow donor. On Sunday, my neighbors Michel and Emilie and their 25-year-old son had me over for the first barbecue on their terrace of this late-breaking summer; the trellises of green table grapes were enough to protect us from the burgeoning Sun, as we savored rillette Charentaise, Toulouse sausages, marinated Texas-style (emphasis on ‘style’) chicken, turkey kebabs, ventriche, and sumptuous cheeses, washed down with parakeets (pastisse + mint syrup), cold Occitania (this being the new-old name for the four regions previously known as the Languedoc-Rousillon and Midi-Pyrenees) rosé, and chalky, earthy, rustic Pecharmant (the local red). Their son in law, who joined us later with his wife to arrose Michel and Emilie’s new car with deliciously fruity champagne accompanied by a home-made apple tart with a crust so buttery I told Emilie it could be mistaken for Brittany shortbread, said that it was inconsistent to have a State of Emergency which theoretically banned demonstrations (easy targets) but which in fact allowed most of the labor demonstrations which took place this Spring-Summer. Personally, I took courage from prime minister Manuel Valls’s passionate assembly defense last night against right-wing legislators who want to set up a French version of Guantanamo to lock up *potential* terrorists that (paraphrasing), “In France, we don’t lock people up based on suspicion. We know where that has lead us over the past century,” a reference to, among other episodes, the Dreyfus affair. I think that the current government is doing its best under ‘damned if you do, damned if you don’t’ circumstances. For the rest of us, on faire avec notre mal. Mon legionnaire, my government’s uranium: Are my U.S. tax dollars killing my French neighbor? SAINT-PIC-LE-LOUPE (Dordogne), France — “Speaking of Bordeaux,” I asked my neighbor Michel after a long crepuscular discussion that started with my serving up a prune juice – eau de vie concoction for the apero and meandered into various flavors of eau de vie (fig — yum — even if the hallucinogenic quality of its skin makes the alcohol content too high to be legal ) manufactured by multiple distilleries in the big city, i.e. Sarlat, ending up with chestnut, from the trees between here and chez Josephine (Baker; I can see her chateau, Les Milandes, from the skylight), which Michel said were so good “they’re shipped to Paris, Bordeaux…” — “Speaking of Bordeaux, are you au courante about Fabrice?” “Oui, he has leukemia. Probably from serving in the Gulf War as a legionnaire.” This part was new to me, although I should have been able to put the pieces together. It seems that Gulf War Syndrome — the disease which for years the Pentagon claimed didn’t exist, even as our boys and girls kept coming home sick from the Uranium used in U.S. explosives to help them kill more people faster — may be killing my neighbor. Fabrice had told me about his service when we first met and he discovered I was American, later explaining that his ease with American vernacular also comes from growing up in the Alsace, with its constant post-war presence of U.S. soldiers because of its proximity to Germany. For Albert — Michel’s son in law — the killer of his partner as a highway guard was less exotic, a drunk driver who crashed through a barrier, doing 100 in a 50 KM zone, as Albert’s friend was facing the other way directing traffic, the sharp metal foot of the roadblock piercing and shattering Albert’s friends’ neck. Albert recounted all this to me, his face shuddering, after I ran into him coming out of the pharmacy while touring the Wednesday market. Albert was there to pick up pain killers for his unresolved back pain, which earned him a leave from the foie gras factory, right before his employers, like all the bird farm owners in the south of France this spring, had to kill all their animals because a few chickens had the flu. I was talking about Fabrice and Albert’s plights yesterday evening with Emmanuelle, the retired boulangerista who still holds court on a bench outside her former boutique, whose door is always open, right beneath the parking lot of the Carreyrou de Le Hermit, our quartier. “On etait heureuse petit!” (Emmanuelle calls every one who has less than her 83 years “Petit,” i.e. Youngster, and you don’t see this 55-year-old complaining) Emmanuelle exclaimed, referring to her life with her husband, who died at 90 after making bread until he was 77. “For 47 years, we got up at 2 a.m. and went to bed at 9 p.m.” In her basement, Emmanuelle still has the long spear-like wooden forks with which she and her husband extracted the bread from the ovens, and two long troughs where the wheat and yeast were mixed. Josephine’s chef used to pick up bread at the boulangerie, and when Lino Ventura was filming “Les Miserables” at the church across the street, he’d send his chauffer every day.